What is Radio Frequency Treatment? How Does Radio Frequency Treatment Work? Who is Radio Frequency Treatment For? 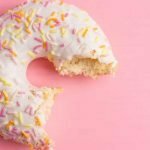 What Does Radio Frequency Treat? How Does Intense Pulsed Light Work? Who is Intense Pulsed Light For? 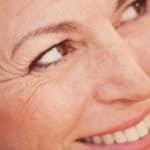 What Does Intense Pulsed Light Treat? Dehydration from alcohol plays a large part in the creation of your hangovers, but dehydration does more than give you a headache and make you feel unwell. Your skin is the first place to lose water when you become dehydrated. This leads to rough, dry, dull and even blemished skin. Many alcoholic drinks are also high in salt, which causes even worse dehydration, and can lead to bloating and other health problems. Unfortunately, at a basic level, alcohol is a toxin and this means it can trigger inflammatory immune responses in your body. This can lead to puffy skin, such as swollen eyes and puffy cheeks. Unfortunately, this inflammation problem can’t be solved with a cooling compress or ibuprofen. Inflammation can cause permanent cell damage, depleting your collagen levels and therefore speeding up the ageing process. 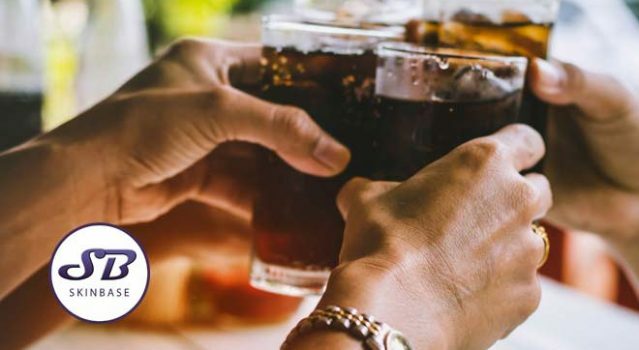 Most alcoholic drinks are very high in sugar, and this can interfere with your hormone levels. An overproduction of oil can occur which settles in the pores and causes blockages. Bacteria that live on your skin then infect these blockages. But this is where things get complicated. Remember that inflammation we mentioned previously? The red part of a spot is your body’s immune response to the infection. That’s natural and happens whenever a blocked pore becomes infected. But if your body is inflamed by alcohol, its reaction to the infection is going to be even worse than it would be normally. So you may have alcohol to thank for those unexpectedly bad breakouts. Are you a beauty professional, and would like to offer SkinBase™ treatments? Find out more. There are lots of different reasons that your face might go red when you’ve been drinking. Unfortunately, blushing when something embarrassing happens is the least of your worries. Alcohol is a key trigger for rosacea flare-ups, and can lead to permanent damage to your skin. Rosacea is a medical condition characterised by very sensitive skin, which turns hot and red in large areas during a flare-up. It may take a bit of time for a Rosacea flare-up to become visible. It’s most common with people who have very pale skin, such as those with Scandinavian and Scottish heritage. Another red-face reaction, known as ‘flushing’ may be a sign of alcohol intolerance. If your face turns red in blotches when you drink, it means your body isn’t metabolising alcohol properly. The blood vessels in your face become dilated, a visual sign that the alcohol isn’t reacting well with your body. This ‘flushing’ reaction is more common in people with Asian, African and Mexican people, and people with Jewish heritage. Retinols? What Are They? Why Should You Be Using Them? 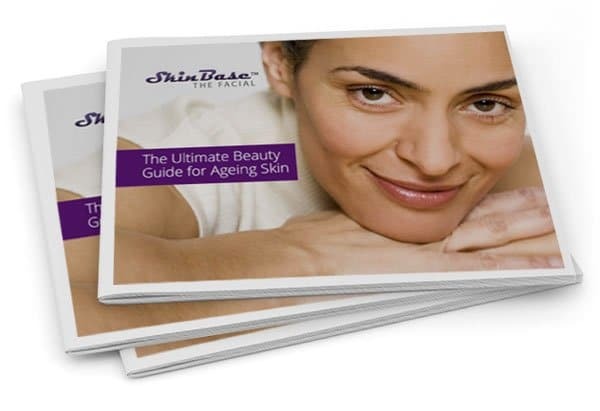 The SkinBase™ Ultimate Beauty guides have been created to get your beauty regime on the right track with hints and tips to help you keep your skin in amazing condition. Reliable, friendly and professional company with good integrity. I’ve had lots of success with my Microdermabrasion. Had a skin base radio frequency treatment today. Absolutely thrilled with the results, and they are just the start! Professionalism from this company far supersedes other industry competitors. Excellent company to work with! Brought my MD machines about 10 years ago, never looked back at any other MD machines again, the best machines and results. Excellent service with skin base too. Absolutely love skinbase ! Such helpful staff and excellent delivery of products the day after ordering . I would give higher then 5 stars if possible :) My clients love MD and the results we are achieving are fantastic . Training in IPL shortly and hoping for a good response as MD ! Thanks so much skinbase for the opportunity you give us small businesses ! Coming to the end of my free trail and v pleased. Great training, great support - txts, calls emails etc. Looking forward to a professional relationship with skin base. Products and machine were fine. Customer service and communication is terrible.I arranged for the machine to be collected last Friday, my mum waited in all day and dpd didn’t turn up, I contacted the skinbase office and they advised it had been cancelled with no explanation as to why, they then rearranged the collection and the machine has since been sent back. I’ve now been billed by skinbase as they’ve entered me into a “contract” as the machine wasn’t sent back last week. When I asked for a refund I was very patronisingly told that the machine was worth 3 grand so there’s nothing they can do.Joke! 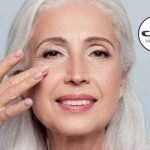 I have been with Skinbase for years and they have never let me down. Excellent company that genuinely cares for the salons using their Microdermabrasion and IPL machines. Started using Skinbase for Microdermabrasion in February and absolutely love it. I’ve really noticed a difference with clients skins glowing & feeling soft. Also had fab results on stretch marks. Staff are all very friendly and helpful. Would recommend to everyone. Have been using Skinbase MD for over 5 years and have recently signed up to the Radio Frequency Machine as well. Staff are pleasant and knowledgeable and nothing’s any bother. My clients love the skin base facial, it is one of my best selling treatments. Love this treatment, machine and service always enjoy calling to place a service order, super fast delivery and support. The treatment is amazing my Microdermabrasion results are amazing. We love Skinbase is a really popular treatment in our salon we love it clients love it more. Love this brand. I've been using the Microdermabrasion machine for a few years now. All my clients love it and customer service is great. Only had one so far. But others booked. My skin feels lovely and the texture is so much better. Looking forward to my next one. Absolutely love my SkinBase Microdermabrasion machine & so do my customers who have tried it. SkinBase customer service is second to none, they are a fantastic company to deal with. I've had the machine for over 3 years. Love it. Great option for smaller businesses and mobile therapists. Brilliant support and customer service. Far and away the best supplier I work with. The equipment is great and is a cost effective way for a small business like mine to offer high end treatments without the huge outlay on machines. Staff are extremely knowledgeable, helpful and supportive. I have nothing but positive things to say about Skinbase and the team and I look forward to our continuing business relationship for years to come. I work on my own and some larger companies will not even entertain working with smaller business. Skinbase are brilliant, I'm treats no differently to a large spa. Great training and the guys on the end of the phone are friendly and helpful. Skinbase has been excellent for my business, my clients love it, the Microdermabrasion results speak for themselves. Thanks to the SkinBase team so far. Cannot fault them at all. We had our MD training today with the lovely Sarah. Can't wait to get started with my treatments Thursday. The marketing you get to help you promote the treatments is outstanding. At first I thought the pay as you go system was too good to be true but it is as they say. What a great way to help smaller businesses set up offering more treatments. Love love love the Microdermabrasion machine!! Clients are seeing the results and are rebooking. Affordable way to bring a high end treatment in to the salon. Highly recommend Skinbase!! Trainers and office staff are fabulous as is the online support through the therapist group! Like family! No regrets here! Five stars!!! The best customer service and support. Nothing is too much trouble. Skinbase is the most professionally run business that I've ever worked with. Their response to enquiries is second to none. A brilliant service provider, orders arrive promptly and the attention to detail is exceptionally. I have had my Skinbase machine at Divine Natural Ltd for many years and because of the good service it would make me want to invest in further products with them. The microdermabrasion is an excellent treatment with life changing results. 5 * to the whole team at Skinbase. Very unprofessional approach to complaints. Blaming my skin for the reaction. Cuts aren't a reaction to microdermabrasion, rashes and hives are!! Very little compassion and no apology what so ever! Will avoid this company at all costs in future, and will be glad to be rid of the machine. Great products and customer service is always second to none . Thank you . Excellent results with both the microdermabrasion & radio frequency machines. The service has been superb and I love the beauty blogs and the therapist group. Amazing company. Looking forward to the future with skinbase. Would highly recommend! Best service you have ever seen in your life and machines that deliver the promise! I love this company! The best Microdermabrasion system around with amazing results. This is my number one best selling facial at The Lakes Beauty Room in Nottingham - The service is fantastic from the office staff, nothing is too much trouble. I have rented my machine for the last 7 years but took the plunge recently and bought one outright. THAT is how much I think of this machine, I have made the investment and look forward to using it for many more years. Skinbase is an absolute no brainer. Amazing service, amazing treatments, absolutely love my microderm machine. All parts, products & servicing is included in the price you pay & having to only do minimum 1 per week is brilliant, love that the trainer comes out to you in salon to train & help you set up & the marketing materials are brilliant. Anyone considering getting a machine into their salon DO IT! I am a single room, single therapist home run salon, and it is a perfect opportunity for me to offer a luxury treatment with no extortionate costs. One of the best decisions I made ❤️ Thank you Skinbase!! Don't hesitate to call Skinbase if your looking to add electricial treatments to your salon services (microdermabrasion, radio frequency and IPL) the entire team are genuine and offer unrivalled aftercare service. Such an amazing company that excel in every way & make you feel part of their 'family'. SkinBase are an excellent company! I’m a therapist of 30 plus years and there customer service is the best. Excellent support. SkinBase Microdermabrasion is the best treatment I’ve discovered in a very long time. My clients love it! This company could not possibly do more for you. Nothing is too much trouble, super friendly staff and very welcoming. This is where I got trained in microdermabrasion. The training is second to none. I was in a small group, spent the day studying facials and techniques. The machine is wonderful and since I qualified, have had some excellent results. If you want to add this treatment to your salon, I recommend Skinbase. Fantastic team and a great business. Recently busted to photograph inside for 360° tour and was very impressed. Very professional and friendly.